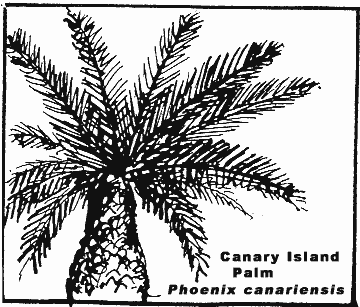 Comments: Feather frond palm, native of Canary Islands. Dark green fronds and thick trunk. Not self pruning. 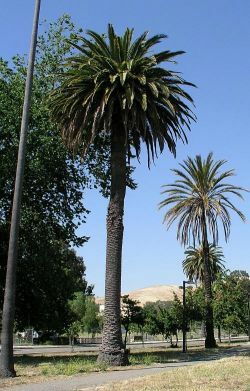 Said to have been brought to California from the islands by the Mission Fathers.